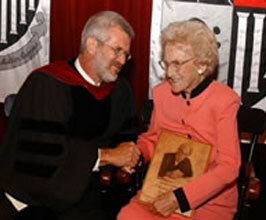 Mary McAnena from Mary's Kitchen was the 2003 Albert Schweitzer Award of Excellence recipient. 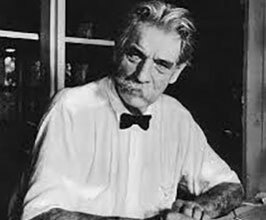 Albert Schweitzer founded a hospital in Lambarene in what was then French Equatorial Africa and is now the Republic of Gabon. 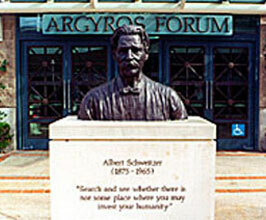 Albert Schweitzer is immortalized on campus through exhibits of his work and a bust in front of Argyros Forum. The Albert Schweitzer Institute of Chapman University is dedicated to preserving, critically interpreting, and disseminating the teachings of Albert Schweitzer within the study of ethics and ethical values. The Institute sponsors a university course on the life and thought of Albert Schweitzer, maintains an Albert Schweitzer Exhibit on the campus of Chapman University, offers the Albert Schweitzer Award of Excellence, the Schweitzer Rising Star Award, and Schweitzer scholarships, and participates in academic programs on the legacy of Albert Schweitzer. The third Annual Chapman University Ethics Bowl will take place on Saturday, February 3, 2019. What is an Ethi cs Bowl? Ethics Bowl is an interscholastic competition at both the high school and collegiate levels in which teams discuss and analyze a series of real-life ethically-oriented case studies and are judged according to the quality of their reasoning and their responsiveness to the comments and questions of the other team and a panel of judges. Engaging high school and undergraduate students in intensive ethical inquiry, the Ethics Bowl fosters constructive dialogue, with the aim of furthering the next generation’s ability to make sound ethical decisions and engage in civil public discourse. The collaborative model rewards students for their ability to think carefully and analytically about complex issues and the respect they show for the diverse perspectives of their peers. Participation enables students to practice and build the virtues central to democratic and global citizenship, preparing them to navigate challenging moral issues in a rigorous, systematic, and open-minded way. Professor Virginia Warren Ph.D. is Professor of Philosophy at Chapman, specializing in philosophical ethics and is in her third year coaching Chapman’s collegiate team. Having heard for years from colleagues at other universities about how much Ethics Bowl positively affects the lives of student participants, she was eager to bring it to Chapman. Dr. Nancy Martin, Director of the Schweitzer Institute and Chair of the Religious Studies Department, inaugurated the hosting of the regional high school competition at Chapman in 2016 and 2017. In February of 2017, Chapman hosted the full Southern California Regional High School Ethics Bowl with nine high schools bringing 14 teams. Volunteer judges and moderators for the event included faculty and doctoral and law students from Chapman and other universities across the region as well as alumni and community members. The students considered ethical cases relating to medicine, business, law, the environment, the role of government, and personal life choices. 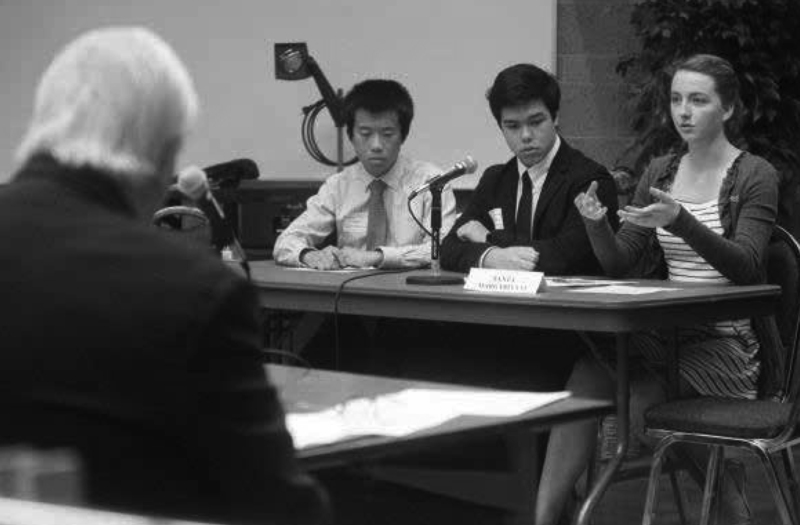 In February of 2016, the Albert Schweitzer Institute, in collaboration with the Philosophy Department, hosted the first ever Orange County Regional High School Ethics Bowl, held here at Chapman. Four schools with 8 teams competed. Students had to be prepared to address any one of fifteen cases which included ethical scenarios on ransoms, transgender and privacy issues, racism, and much more. 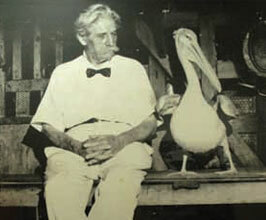 Stop by AF 201 anytime to see our newly designed exhibit dedicated to the life and works of Albert Schweitzer!